Hellebores are one of the hardiest selections for early spring. Also known as Lenten Rose, Hellebores are a perennial that add interest in the garden for almost all 4 seasons. When planted in the ground, new foliage and buds emerge as early as March and can continue to bloom through May. Their thick, leathery dark green leaves stay green through much of winter. Some varieties have beautiful veining in the leaves as well. They will grow 12"-18" high. We have many varieties with blooms varying from white to cream and pink to red. Helleborus grow best in part shade and moist, well-drained soil, making this rabbit resistant perennial one you’ll enjoy even when it’s cold and damp. One doesn’t see blue flowers often in the plant world, making Brunnera’s clusters of sky blue forget-me-not flowers the spotlight in a spring shade garden. The heart-shaped leaves draw attention as they change to gold in fall, and there are variegated varieties as well. Blooming May through June, Brunnera can be a beautiful groundcover in a moist, well-drained area, or cut for an arrangement. Attract the first butterflies with Siberian Forget-Me-Nots. The unusual spoon-shaped petals of these African Daisies create conversation when in a container at the front door or planted in the backyard garden. The cold-tolerant Flower Power Spider White and Spider Pink blooms thrive in full sun to part shade all season. Combined in a pot with Margarita Orange Flare Cape Daisy, Vintage Mix Stock, and a perennial grass such as Carex morrowii will give everyone something to talk about. How often do you hear ‘performs best in cool weather’ in reference to a flower? Cold tolerant, sun-loving Ranunculus has layers of petals that look like iced flowers on a wedding cake. The flowers are large on these Persian Buttercups, and they come in a wide range of colors, from pastels to vibrant yellow, purple, orange and red. Ranunculus is an annual that blooms in April and early May, growing 10"-14" upright to brighten early spring containers. Seeing buds on a tree puts a skip in your step as you plan to spend more time outside. 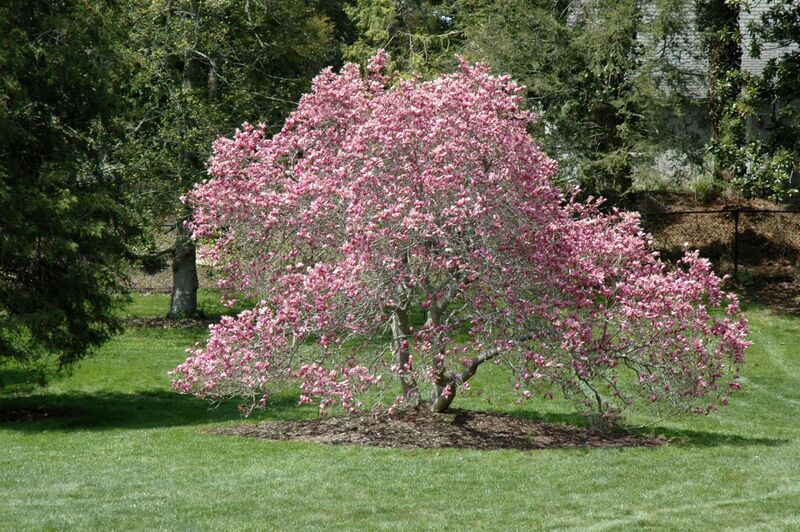 In May, deep purple-red to pink flowers open before the leaves on the Ann Magnolia, making a beautiful accent in landscape design. Magnolias prefer well-drained soil and full sun to part shade, growing 10’-12’ in height with leaf display of coppery gold in fall. Come visit and explore the varieties of plants available this spring. See what is new and noteworthy, and ask our expert staff which will work best for your needs. Pick up a copy of our Plant Guide for future reference, or make a wish list online with our TGP Plant Search. Check our calendar of events for classes and talks, meander through our learning gardens and keep stopping in every couple of weeks to see what’s blooming. You are sure to find a favorite or two (or quite possibly three)!